**Warning: Authentic Conversation** is about to be heard! There are no notes, no plans, just real campfire talk with wildlife artist and hunter Ryan Kirby! After recently touring Ryan Kirby's new farm in Illinois. 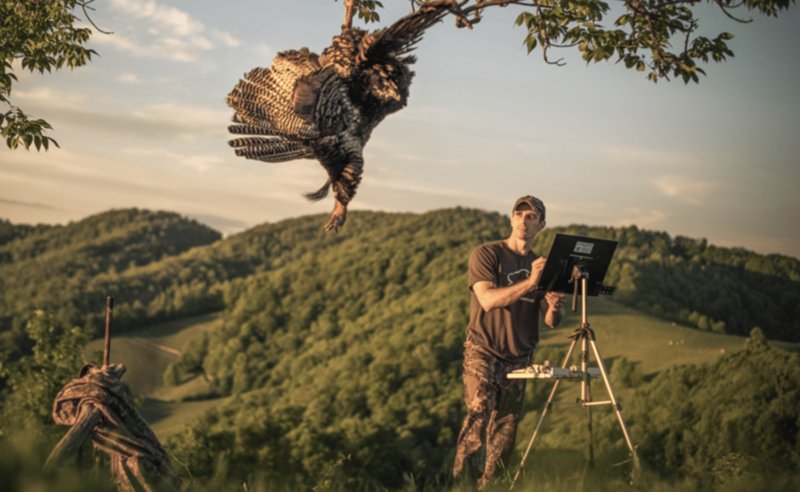 We took time to sit down with him and discuss how his talent of bringing to life wildlife with brush strokes on canvas and hunting are so closely related for him. Ryan is a die-hard hunter from the state of Illinois. He grew up in a family of hunters and utilized his art skills and instinctual passion for the outdoors to grow his business. He is now a father who shares his passion for the outdoors with this son Rhett. It is evident that one day the very property we walked and consulted on will be a place that will shape Rhett into a wise hunter, land manager, and conservationist.